I read this article and found it very interesting, thought it might be something for you. The article is called The Best of But First, Coffee | A Look Back at 2017 and is located at https://www.butfirstcoffeeblog.com/the-best-of-but-first-coffee-a-look-back-at-2017/. With 2017 drawing to the end, I think a lot of us are looking forward to our goals and aspirations for the new year. But, a common problem I know I have is spending too much time looking AHEAD and not enough time reflecting back on progress made. So today, in honor of reflecting back, I wanted to round of the best of the best from But First, Coffee over 2017. We’ll look at the most popular, the most viewed, the most shared, and more. I’ll also use it as a time to reflect on why certain things did well in hopes to learn something from my best content of the year. This post did particularly well, I believe, because of the fact that it was shared A TON on Pinterest. However, I get a lot of content that does well on Pinterest and doesn’t always convert into pageviews. 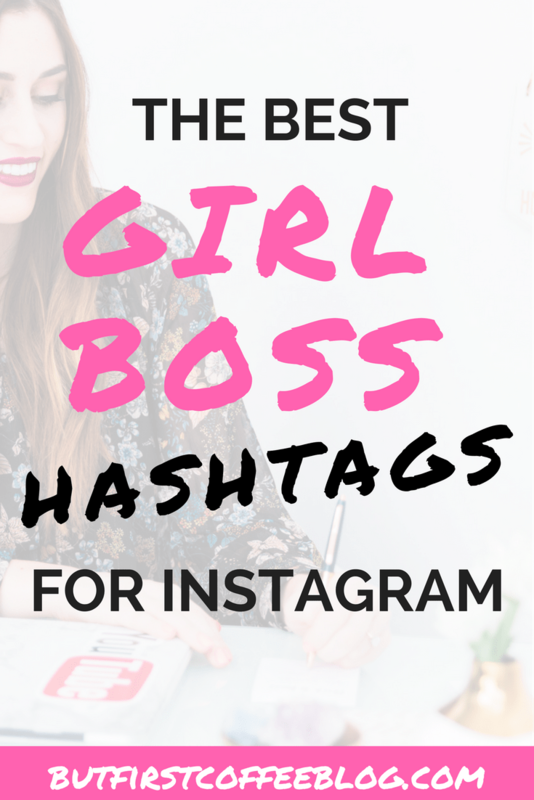 I think this post had enough of an interest factor that people were willing to click off of their Pinterest app to read the post and find out which were the BEST Girl Boss hashtags out there. What I learned? 2017 was the year I finally made Pinterest work for me, and this post was the proof. 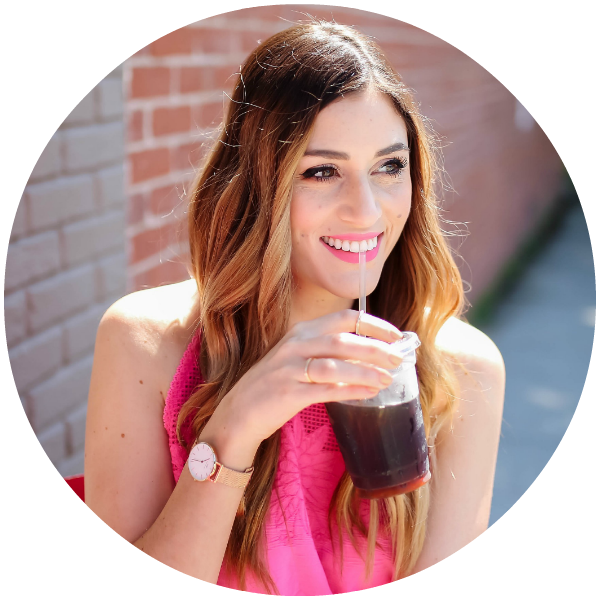 January – March is when I really dedicated myself to investing time in Pinterest and it’s clear because some of my best performing posts were during this timeframe. This post (and the runner-up below) both did really well because of Pinterest traffic. While I’ve gotten lazy about Pinterest the past few months, I think my biggest piece of learning is to get back in the Pinterest game for 2018. This post was just barely behind the Girl Boss Hashtag post by a couple hundred views. Again, it did very well on Pinterest which drove a lot of traffic. My most viewed YouTube video went up at the end of my 2017, amassing over 4 million views in its first 2 weeks. It also got me a ton of new subscribers and the video has been shared over 38,000 times in less than 3 weeks. That includes a feature on the Daily Mail where they called me a “Lifestyle Guru” and the trolls had a field day in the comments telling me I should get a real job. Little do they know that I do have a “real job” in management and this little side hustle they are making fun of me for makes me more money than my “real job” does some months. Sorry…just had to get that of my system. I feel better now. Timing: I posted it in early December which wasn’t too early or too late into the holiday season to grab people’s attention. Many people had finished shopping but wrapping still needed to get done. Unique + Similar: When it comes to YouTube, you need to have content that’s similar to other content currently doing well on the platform. One of the BEST ways to get views is by getting suggested next to other alike videos. But, you also don’t want to be TOO similar, because then you’ll get lost in the clutter. Gift Wrapping Hacks related to all the other holiday and present content on YouTube, but was different and unique enough to stand out. Thumbnail: The thumbnail is everything on YouTube. It’s the only thing that will get someone to decide to give a video a view or not. The thumbnail for this video was a quick read. Not to mention, it contained an interest factor: Why is one way wrong AND, why does the wrong way look like the way I thought was right? What I learned? This video was really just proof of everything I’ve come to know about YouTube. That trifecta I sort of joked about above actually is a pretty reliable method for a successful video. The problem is, videos like that require a lot of pre-planning which isn’t my strong suit. Many times Sunday’s video is decided on Thursday. For 2018, I want to get better about planning my content and editorial calendar ahead. Trailing behind gift wrapping, this video is currently at about 1.3 million views and about 2,600 shares. I think it missed the mark on the trifecta as the timing wasn’t perfect. And, while the thumbnail was good, it probably could have been improved. I love that this post was interacted with a lot because I really enjoyed putting it together. I also created a video of the makeover, so the entire process was just a lot fun! What I learned? I’m not sure exactly what learning I have to take away from this post just yet. I think the fact this post and my rental bathroom makeover post both did so well tells me that home decor content does pretty well on my site. Maybe some inspiration for 2018? This post began as a YouTube video, but I thought it translated well into a blog post as well. I broke down my favorite tips for how to save money when I shop online (because who wants to spend more than they have to?) It was well received and well shared. I loved writing this post, and I got so much amazing feedback from it. And, not just in the comments, but people reaching out to me directly, in person, on social media and more. 2017 was a big year for me as far as changes. The biggest one being that I feel like I’m allowing myself to slow down more. I no longer have this nagging feeling like I need to be doing all the things all the time in order to feel fulfilled. While there is beauty in choosing “yes,” sometimes there’s also a need to say “no.” This post talks about why taking the time to be bored is important, and how to be more bored every day. This is a similar post, talking about why we shouldn’t feel bad when we stay in. And the benefits you can get from staying home more often. Another big shift I’ve made in 2017 is to position myself more locally and connecting with more local influencers and businesses. The post I wrote about the most Instagrammable spots in CT was shared with a lot of local feeds including the CT Tourism Department and our local news station. What I learned? Positioning myself locally has honestly changed the game so much for me. Not only have a secured recurring features on a local news station, but it has allowed me to connect and work with so many local businesses and restaurants. But, the best part of it all is the connections I’ve been able to make with other local influencers. 2018 will definitely continue to be a year where I work locally. I don’t know if I can nail down a single milestone on my blog as far as analytics or numbers go. I think what was more important was I shifted my schedule. I cut my posts back from 3 a week to 1 or 2 a week. And, that allowed me to create more meaningful content I was proud of. In turn, it reinvigorated my traffic. I started blogging better content less often, and my traffic tripled in a month or two. I talked about that more in this post if you’re curious. I’d have to say, if we want to just talk numbers, hitting 100k on YouTube was my biggest milestone. I’ve been making videos about 4 years now – 3 years consistently. And, I was stuck around 70k for well over a year. Hitting 100k did feel like a huge accomplishment! Even though I’m currently just a few hundred away from 200k, I think hitting my first 100,000 will feel like a much bigger accomplishment. But, the real milestone happened in the early spring when I decided it was time to re-evaluate my content and my niche and reposition myself. For a long time, I was in the “beauty niche,” which was fine. I got A LOT of free makeup, I loved trying out products and giving my honest reviews. But, the truth is… I’m not a beauty guru. On an average day, I wear CC cream and some mascara. I was sort of living this “role” that wasn’t me. So, I decided I needed a change. I needed to start creating content that truly reflected MYSELF and MY interests. So, I made a content switch. I started creating content around how to make life simpler. I shared budgeting tips, money saving videos, life hacks, time-saving tricks. At first, it was slow as my current audience shifted. But, what I found after just a few short months was that it was working. I went from 10-20 subscribers a day to 100 a day to 400 a day to 1,000+ a day. I was creating content I cared about and I enjoyed, and that was the magic key. That’s the most important lesson and real, true milestone of 2017.